Soft plush assortment of Robin, Cyborg and Trigon. Throw them, drop them and get them all tied-up. REGULAR SHOW™ 20-inch Stylized Wrestling Buddies are ready for whatever trouble awaits! The oversized plush say all the great one-liners from the show. Perfect pal to accompany a little girl to the "Nutcracker!" This dancing mouse is light on her pink slippers. She wears a pink tutu and matching bow. Here delicate necklace is embroidered. She is a vision in pink and white softness. What a sweetie, this cookie cutter perfect snowman smiles at us with a carrot nose and button eyes. He is wearing a knitted, red and green tassled hat and a sewn-in red scarf. There is candy cane cording around his body. He will melt your heart. Aurora’s two new activity dolls feature enough buttons, zippers, knots and Velcro to keep any child happy and busy for hours. The dolls are squeezable soft and their open arms and warm smiles beg for a child’s attention. The precious girl doll has a pretty pink dress with embroidered butterfly while the boy’s yellow shirt features a red car with buttons as tires. (size: 15 inches). Other products from BRYBELLY HOLDINGS INC.
What makes this a great gift item for the holidays? : The Sock Monkey Limo is perfect for any child. A new twist on a classic toy, this product is the latest addition to Brybelly’s line of Sock Monkey Family products. Featuring an adorable wedding theme, these stylish monkeys are dressed in their best as they take a ride in their pink limo to witness the marriage of Princess Penelope and Sammy Sarsaparilla. Housed in a creative limo-shaped box with cutouts for each monkey, children can enjoy hours of creative play as they use the actual packaging to play with the toys. The monkeys in the set are dressed in traditional wedding apparel, such as a bridal gown, tuxedos, etc. Each set comes with a total of six monkeys: Princess Penelope (Bride); Sammy Sarsaparilla (Groom); Minster Mook (Minister); Myles (Chauffer); Ava (Flower Girl) and Brayden (Ring Bearer). 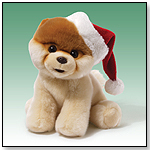 GUND’s Boo, The World’s Cutest Dog is now the world’s cutest holiday plush. With over 6.8 million Facebook fans, Boo is recognized by fans worldwide. GUND’s version of Boo is the spitting image of the wildly popular Pomeranian. He is 9” and made of only the finest and softest fabrics. Boo with a Santa Hat is perfect for Boo fans of all ages. With over 6.8 million fans, he is the “must have” of the season. Launch date: March 1, 2013. Aurora’s most popular plush animal line, YooHoo & Friends (23 million plus sold), sees an epic expansion for 2013 to include these everyday and holiday themed YooHoo & Friends. Meet Montee™ Moose, Wuskee™ Husky, Jolley™ Reindeer and Genee™ Penguin. Each YooHoo makes a secret sound when squeezed and new hangtags describe the character in detail. Launch date: April 2013. Francois is one of 7 different Llamas to choose from! Douglas has a huge stable full of breed specific llamas and horses. This silky llama is a combination of extremely soft materials and has the most irresistible face. 12" tall. An armful of fluffy, soft fur, this raccoon is a wonderful toy or a premier gift! He is so cuddly with the sweetest face, yet is made so expertly that he looks very realistic! He is one of the many unusual and usual breed specific animals that Douglas is famous for producing for their wildlife collection. 16" long. — Fred Rosenberg, owner of On the Park Toys in Kingwood, Texas, told TDmonthly that plush from Douglas was a best-seller with tweens. "They have a lot of variety, so they even have 'oddball' animals like skunks, and they sell across age groups. Douglas is a great manufacturer," he told us. These Douglas Ruffle Totes are a frilly fashion statement, full of trendy fun! The layers are made of coordinating, trendy patterns and fabrics. They are fully lined and embellished with lovely details: cording, embroidery, buttons, and appliqués. 8" wide. Part of the Douglas Christine Clarke Kids Fashion Collection. Douglas Sillos are called "sillos" because the purse IS the animal! These working purses are made with trendy, designer fabrics, embellished with ruffles, jewels, flowers, and coordinating cording. There are 23 styles for "every girl." Each purse has a sturdy plastic zipper and shoulder strap. Size range: 10"-13". Part of the Douglas Christine Clarke Kids Fashion Collection. 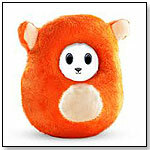 Ubooly is a stuffed animal powered by an iPhone or iPod touch. Put the device in its fuzzy pocket, and Ubooly comes to life. Includes the Ubooly stuffed animal, the Ubooly software, and free monthly content updates. 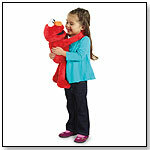 Little ones are sure to fall in love with Hasbro's first feature Elmo toy that can hug them back! When tots give their red furry friend a hug, Elmo will wrap his arms around them to show how much he loves them! This cuddly 22-inch lifelike Elmo has flexible arms and a soft head. He sings a sweet song about hugs and a bedtime lullaby, and encourages pretend play. This all new design makes the BIG HUGS ELMO Hasbro's largest, cuddliest, most lifelike Elmo interactive plush ever! Requires four AA batteries, not included. — David Hesel, owner of The Toy Shop of Concord Inc in Concord, Mass., told TDmonthly in a May 2013 survey that "Anything Elmo" is their best-selling licensed toy. Adora’s exclusive Fab Fairies™ spread love & joy! They are absolutely adorable, a perfect blend of sweetness and love for infants on up. Fab Fairies™ are made of ultra soft and cuddly microfiber plush with adorable fairy faces and are available in three cheerful colors accented with a sweet flower appliqué. 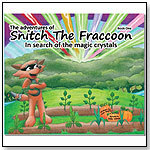 From the makers of Bag-o-Loot comes a new storybook about Snitch the Fracoon, who has to go on a scavenger hunt and ends up learning a lesson about generosity. Comes with a plush accessory. Children will build confidence in the water with their new swimming buddy. These sweet, huggable plush toys have buoyant flotation, and quick-dry outer fabric and stuffing, making them the perfect companion for kids in and out of the water. Take Pooligans in the water for floating fun and out of the water for poolside comfort. Created with anti-microbial materials for long-lasting enjoyment. Four characters available: Dolphin, Shark, Penguin, and Polar Bear. Each character sold separately. Launch date: February 2013. Aurora's Pop Up Puppets are a fun way to stimulate your child's imagination and help them develop their learning and creative skills. Pop Up Puppets are available in seven styles: Tiger, Black Bear, Lesser Panda, Owl, Raccoon, Giraffe and Panda. The all new collection includes Wide Eyed Garfield "Sitting" (SRP: $13), Garfield "Floppy" (SRP: $13 and $20) and Garfield "Just Clinging Around" (SRP: $13) featuring suction cups "so you can easily attach Garfield to any glass surface." All Garfield products will include a unique, double-sided "Cattitude" hangtag featuring the classic Garfield cartoon. Garfield will be distributed to specialty shops, gift stores and retailers in the United States, Canada, Mexico, Australia and New Zealand through December 31, 2015. The luscious, squeezably soft Sherbet Bunny collection is available in four colorful styles including Berry Orange, Cotton Candy, Lime Delight and Berry Raspberry. 14". "Eye'm sweet, you're sweet, we're all sweet!" Introducing Aurora's all new line, Gumdrops, featuring 12 fun and trendy characters named after the tastiest treats: Peanut Butter Bon Bon, Snickerdoodle, Lolly Pop, Fortune Cookie, Mud Pie, Apple Strudel, Whipped Cream, Popsicle, Caramel, Ginger Snap, Rainbow Jelly Drop and Roly Poly Pudding. Each colorful character includes a custom hang tag and features signature glasses, big eyes and soft, shiny materials. Millions of Aurora’s Fancy Pals "toy pet carriers" have been sold worldwide. Kids love to take their plush friends on the go. Aurora’s Fancy Pals “Light Up” assortment features this darling pony (removable from its carrier) adorned with a big bow that lights up when squeezed. Pammee’s popularity is on the rise. She’s cute, she’s trendy and she’s “gaga 4 you” with a perfectly pink oversized bow and pink rhinestone at her heart. Squeeze the 5” and 8” sizes and she’ll give you a smooch. The 16” is here thanks to popular demand for larger pieces.